EK is releasing a new EK-DBAY Spin Reservoir! 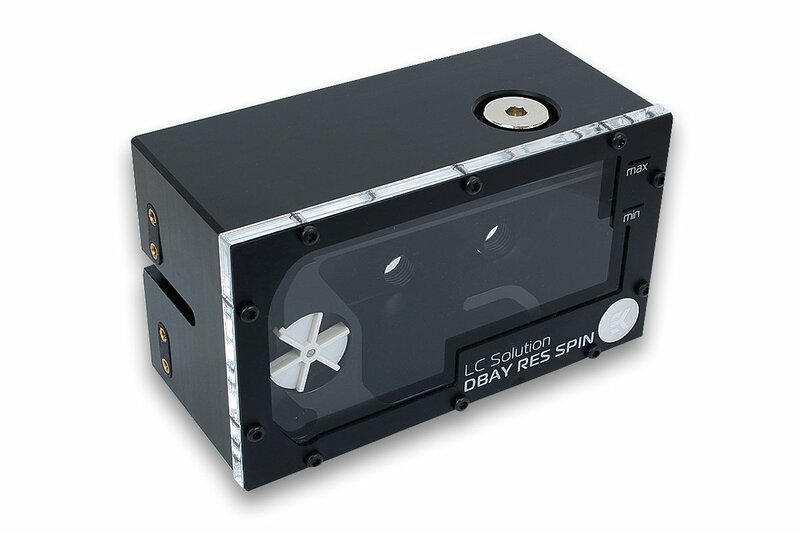 EK Water Blocks, Ljubljana based premium liquid cooling gear manufacturer, is releasing 3rd Revision of its popular 5.25″ drive bay reservoir solution – EK-DBAY Spin Reservoir (R3.0). EK-DBAY Spin Reservoir (R3.0) is an updated reservoir of the Dual Bay Res Spin family. It features white flow indicator which shows the liquid is actually circling in the system. Liquid is flowing through the impeller on to the waterfall on the front acrylic cover into the reservoir. The reservoir is made of quality POM Acetal material with fresh looking, acrylic top. Front of the reservoir is aesthetically improved with quality brushed black anodized aluminum bezel. 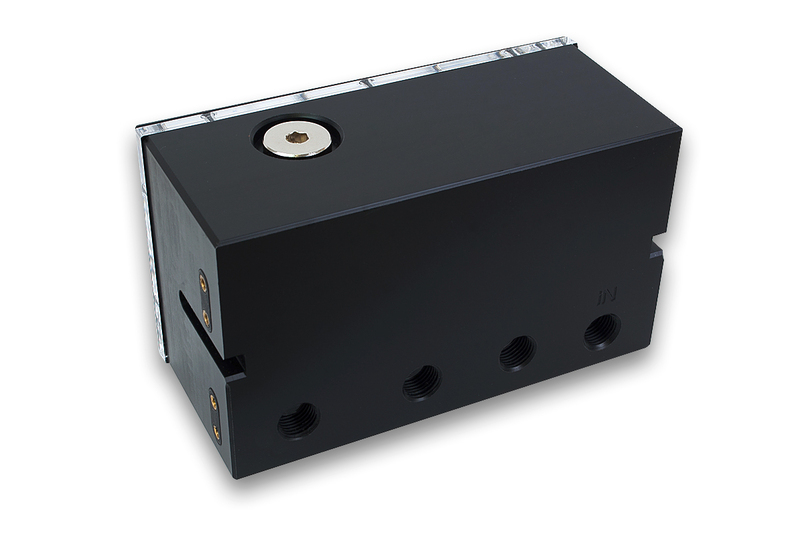 The unit looks great in all modern black chassis that support the mounting of such reservoir! On top of the reservoir is one G3/8″ threaded port with enclosed corresponding plug to easily fill the reservoir with cooling liquid. Backside of the unit features four G1/4″ threaded ports. One is indicated as an inlet port, while other three can be used as outlet ports. Two G1/4″ plugs are enclosed to close the remaining open ports after the tube positioning is determined. No water can evaporate from it which makes the annoying refilling unnecessary. EK-DBAY Spin Reservoir (R3.0) is readily available for purchase through EK Webshop and Partner Reseller Network. MSR price with included VAT is in the table below.